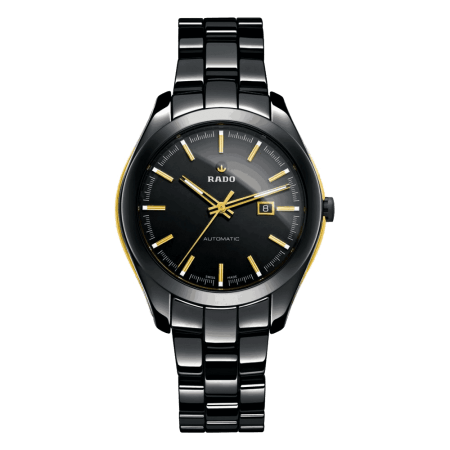 Rado Hyperchrome – After 35 years selling Rado watches, we can tell you precisely why the brand is iconic. 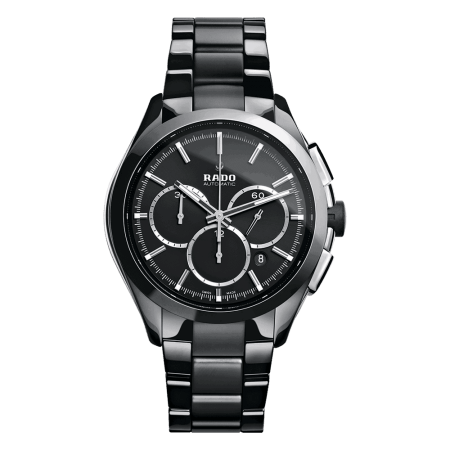 Rado is one of the very finest Swiss watch makers. The name is renowned for innovation and materials – substance equals style. 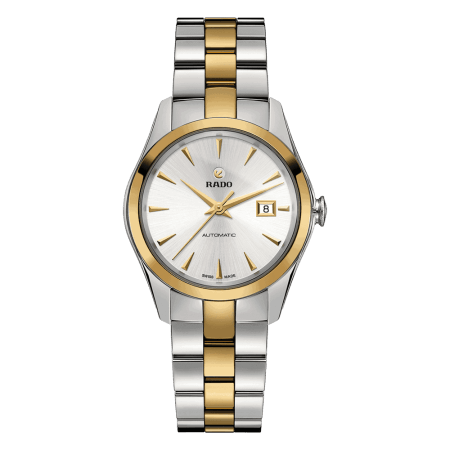 Rado builds each Rado Hyperchrome from high-tech ceramic, an incredible material that’s lightweight, scratch-resistant and warm with the glow and glisten of metal. It’s pure ceramic that has been forged at extremely high temperature to change its appearance and become super-strong. That’s why Hyperchrome is labelled “a watch for life”. This high-tech ceramic case is finished with sapphire crystal and finely crafted automatic movement. You’ve got to admire the expertise and skill that goes into every one. The Hyperchrome family, like most of Rado’s watch collections, includes a broad spectrum of styles. Read more about the Hyperchrome Automatic and Chronograph below. The minimal-chic Hyperchrome Three Hands is a modern take on the icon with an earthy palette. For women, the Hyperchrome Diamonds is set with either 12 or 56 diamonds – a real inheritance piece. For something quite different, try looking at Rado’s contemporary True Thinline, the wonderfully engineered Centrix OpenHeart, or modern classics in the Integral family. Launched in 2012, the Hyperchrome is a new addition to the family of Rado icons. It’s built on the body of the True Thinline – a sleek ‘monobloc’ watch dial – and features a dual timezone display, which can be swapped with just a touch. ‘Automatic’ refers to the movement inside the case, which is a mechanical movement that’s charged up when the wearer moves. It’s ideal if you will wear your watch every day. There are plenty of Automatic watches in the Rado Hyperchrome family. Several make a feature of Ceramos, Rado’s metallised high-tech ceramic. This has the appearance of yellow or rose gold and provides an embellishment that’s luxurious as well as robust. 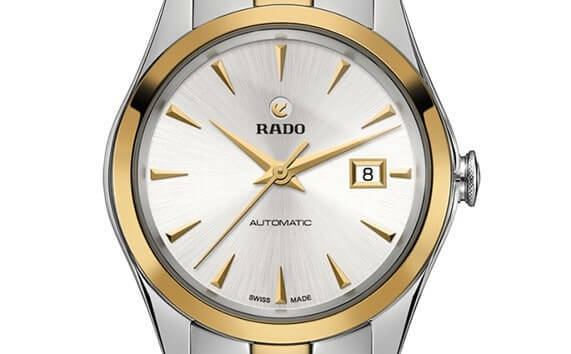 The women’s collection of Rado Hyperchrome Automatics includes Diamonds, which has 0.8ct of diamonds around the edge. Hyperchrome Ultralight features the sleek ceramic case on a bracelet of leather or fabric, for an ultra-modern look. If Rado invented a time-travelling watch, this is what it would look like. The Chronograph is a serious watch for the collector. It has a sporty appearance with a tachymeter (to calculate speed) and comes with straps of leather or steel, to give a look that’s as current or vintage as you choose.